Now that on-the-go Internet service is the norm, the ability to be productive isn’t as restrictive as it once was. Indeed, you can get more done in more places with mobile Internet. And how you manage your time is more flexible because you can spend time at the coffee shop handling emails, or look up a dry cleaning service on your smartphone while you’re on your lunch break. You can even access all your files from multiple devices. Here’s the breakdown of the 3 Internet services and how to use them to maintain productivity throughout the day. Mobile email was the first efficient mobile innovation. Although early Internet-enabled mobile phones didn’t possess the speed to comfortably browse the web, email was useful much earlier. And today, smartphone email applications are easy-to-use and transmit mail just as quickly as their PC and laptop counterparts. What I recommend: Handle emails that require easy responses immediately from your phone or tablet. By focusing immediately on answering the easy emails, you can spend more time dealing with the important ones. Important emails that require action should always en up in your Omnifocus, and that can be easily done on your iPhone. For these emails that require more deliberate action, wait until you can get to your PC or laptop, they will be waiting you in your Omnifocus inbox. Thanks to faster mobile broadband Internet connections like 3G and 4G, browsing the Internet efficiently is easier than it was a decade ago. Whether you’re using a mobile browser or a search app like Google, you can find what you’re looking for efficiently. What I recommend: Handle bank transfers and view websites using an online browser like Safari or Chrome. Use Siri voice technology or similar functionality to look up phone numbers, make appointments and get directions while you’re on the road. Use Yelp and Foursquare applications to find information you’re looking for while you’re out and about. Cloud computing services like Evernote, Dropbox and Omnifocus enable you to access your files and tasks from a range of devices, including your smartphone. With cloud applications, you don’t have to spend time transferring files between devices. All you have to do is log into your account, and you can access everything you’ve saved under that account. That is frictionless experience, and cloud synchronization is something that you should aspire to, but always keep in mind the safety of your information. What I recommend: Use Evernote to record and store text and audio notes. Use Dropbox to store and access documents. 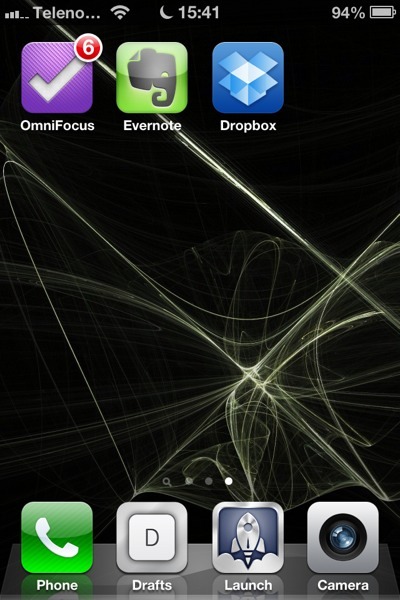 And use Omnifocus to create and track progress for to-do lists. Mobile gadgets, platforms and applications have made it increasingly easy to allocate different tasks to be completed while you’re not at your desk or office. Take advantage of it, and reap the benefits of becoming more productive. I got my smart phone more for email than for use as a phone. It sure comes in handy because my boss lives 2000 miles away (or something like that). I also love Evernote, but mostly for use on my computer. Great helps. Thanks for the info. Glad you found it usful! What kind of smartphone you’ve got?